As we approach the end of the Yamim Noraim, the Days of Awe between Rosh Hashanah and Yom Kippur, I find myself reflecting on my year, specifically the nearly six months that I spent hiking the Appalachian Trail. It was an adventure like no other where I met countless new people, overcame many obstacles, made life long memories and completed the hardest task of my life. The first time I had heard of thru hiking and specifically the Appalachian Trail was in 2011. Elliot “Peaches” Flax and I had grown up going to camp together. As I followed his six month long and nearly 2200 mile hike from Georgia to Maine via Facebook and his blog, I quickly realized that this was an adventure that I would want to undertake. This would be a challenge of a lifetime. I added it to my bucket list. Fast forward to the end of the 2016 summer – I made the tough decision to not return back to Camp Interlaken JCC for another year as an Assistant Director. For 24 summers I made the four hour drive up to Eagle River, Wisconsin. To me, summer meant camp, but it was time to check the Appalachian Trail off my bucket list. The first night was cold. With reports of -5 wind chill and snow that had come in overnight, many that had stayed at the first shelter had left the trail to go into town to warm back up and re-assess their gear. The statistic that kept looming in my head was the fact that only around 1 out of 4 people would make it to the end of the trail, the others would drop out at some point between Georgia and Maine. It was time see what I was made of and continue on. I felt pretty good, a little cold, but once moving everything started loosening. Early on in the planning process I had decided that I would start my hike alone. I didn’t want the pressure of having to keep up or slow down or make someone else do the same. From reading and talking to others, I knew that this was an extremely social experience. This meant that I was flexible to meet people and could either stick with them or continue alone. During the first week I met a fellow hiker, Daniel, and we had seemed to be hiking at a fairly similar pace. We made it to the first couple of towns together and ended up hiking together for almost the entire trail, picking up the other member of our triad, Nathan, around mile 350. Together, we slowly built up our “tramily” (trail family), gaining and losing other fellow travelers along the way. Most of us had never done something of this nature, and this group became our support network. Each day on the trail brought a different lesson. Some days it was dealing with aches and pains, and other days it was an exercise on how to deal with boredom. I learned early on that the three major contributors to people dropping out were: money, injury, and boredom. After seeing people drop out, I had to make a game plan. To combat boredom, I decided I would load up on podcasts and books on tape. Other times, I went old school and relied on conversations, books, or the deck of cards I carried along with me for the entire trip. My hiking partners learned many games that I played during my tenure at camp and became quite adept at them during our 40 hour weather stay at Lake of the Clouds Hut in the White Mountains. But I had another card up my sleeve. 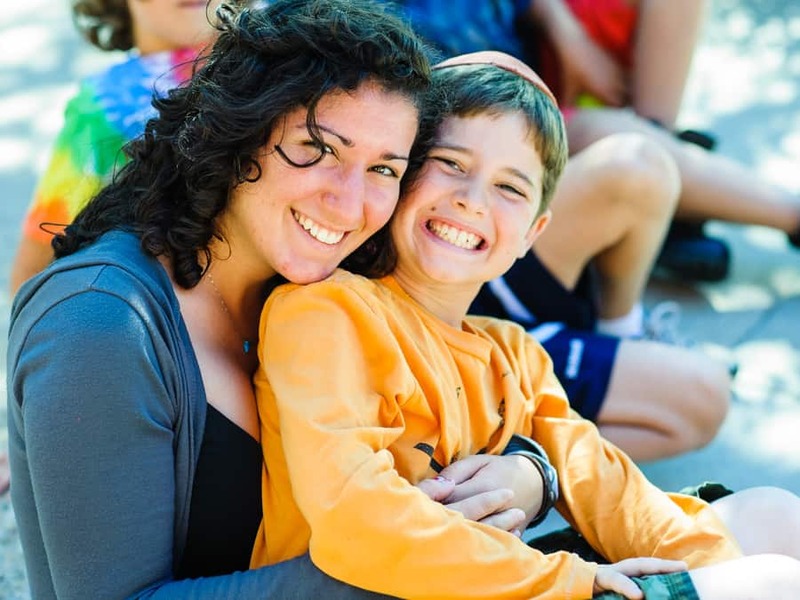 Before I decided to leave Interlaken, I was fortunate enough to participate in a professional development program through the Foundation for Jewish Camp called Yitro. This program took Assistant Directors from all around North America and brought them together for collaborative learning. I was able to meet and befriend camp professionals from all over the nation. I messaged the group, letting them know of my plan, and asked if I would be able to stop by some of the camps that were on the trail. This would prove to be an important part of my hike, breaking up the monotony of hiking for 8+ hours a day and inject Judaism, camp, and experiential education into my summer. I visited 5 different camps: Capital Camps, Pinemere, Eden Village, Crane Lake, and Eisner. Each camp offered a tour, nice warm meal, various informal Jewish engagement and beautiful conversation with friends and new faces. It offered me a much welcomed sense of my life outside the trail. I was able to see hundreds of camp counselors learning from each other during the Cornerstone Seminar, tag along on a hike to help a unit of campers find a new campsite to add to their program, tour a community grown and maintained farm, see a camp transition from normal program into rainy day activities flawlessly, meet and talk with teva (nature) specialists to talk about their engagement with campers and answer questions about my journey, and even help proof an email to be sent out to parents. Each time I left a camp I was reenergized. I would hike the extra miles to catch up to my hiking partners and they would inevitably hear stories of what I had seen and why camp was so great. In turn, I learned how camp impacted their own lives and quickly realized that many people hiking had gone to camp themselves. It made sense to me as we shared stories highlighting values that helped form who we were. 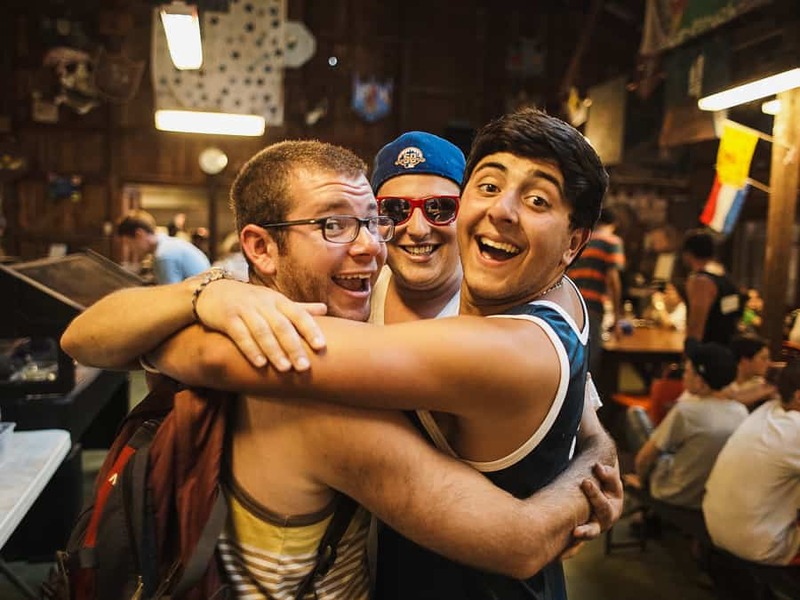 As I head into Yom Kippur and take inventory of this experience, I attribute much of the success of my experience to my time spent at Jewish Summer Camp and the life lessons I learned during my 20+ years spent in the north woods of Wisconsin at Camp Interlaken JCC. For these 170 days, the woods became my home and fellow hikers became my friends and family. We experienced some of the best and worst times of our lives together and, like camp, these moments will stay with us for the rest of our lives. I changed both physically and mentally – dropping over 50lbs of body weight hiking, learning new skills and how to live a simplistic lifestyle, gaining the confidence to accept any challenge that comes my way, and feeling the reward of accomplishing a goal. For any campers, staff or alumni that have the opportunity to step outside of their daily normal – I urge you to do so. It may teach you something new about yourself or possibly affirm something that you already knew and push you to do things that you didn’t know you were capable of.